Análise das ideias anarquistas conectando repressão sexual com autoritarismo, e discussão do livro A Psicologia de Massas do Fascismo, do psicólogo Wilhelm Reich. Getting back to the installments from the “Anarchist Current,” the Afterword to Volume Three of Anarchism: A Documentary History of Libertarian Ideas, in this section I discuss anarchist ideas connecting sexual repression with authoritarianism. Anarchists who sought to understand the popular appeal of fascism turned to the work of the dissident Marxist psychoanalyst, Wilhelm Reich (1897-1957). Reich was unpopular in Marxist circles, having described Soviet Communism as “red fascism,” which resulted in his expulsion from the Communist Party. 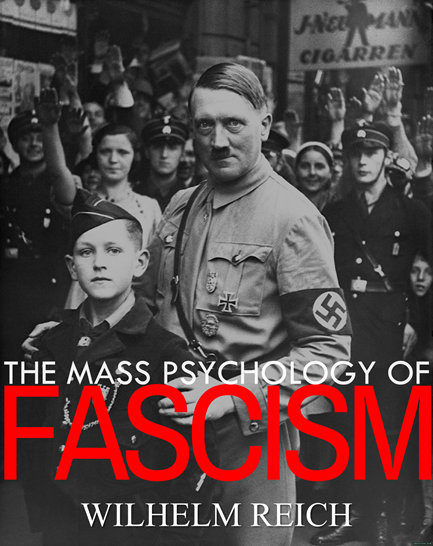 In his book, The Mass Psychology of Fascism, Reich discussed the role of the patriarchal nuclear family, legal marriage, enforced monogamy, religion and sexual repression in creating an authoritarian character structure (Volume One, Selection 119).